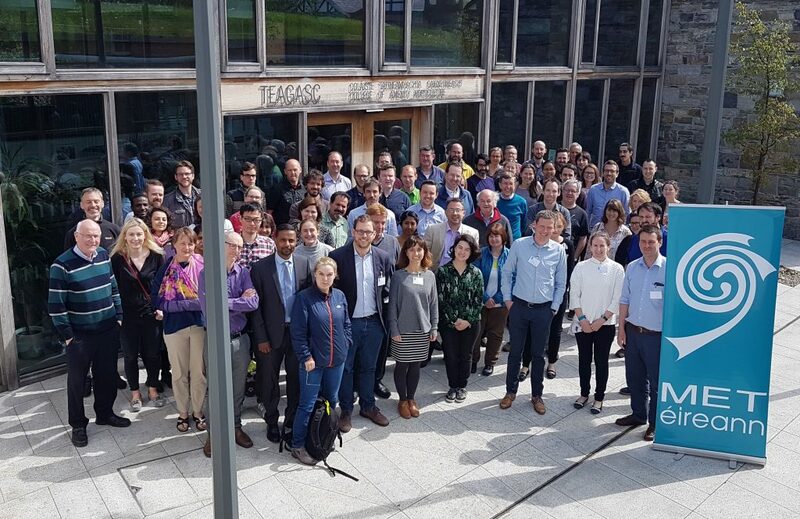 Met Éireann will hold a workshop on May 2nd on an exciting climate reanalysis dataset that has uses in any application that requires climate observation data. The workshop will be held in the National Botanic Gardens in Glasnevin Dublin and will include three keynote talks by European experts as well as presentations on topics such as predicting bathing water quality, atmospheric rivers and flooding in Ireland, the Beast from the East, Storm Ophelia, energy demands and many other interesting themes. The dataset, known as MÉRA – Met Éireann Reanalysis, is a climate reanalysis dataset, similar to ERA-Interim or ERA5 but with a much higher resolution which gives it several advantages, particularly regarding weather extremes. It covers the period 1981-2017 for an area over Ireland, the UK and northern France. Climate reanalyses give a numerical description of the recent climate and are produced by combining models with weather observations. They contain estimates of atmospheric parameters such as air temperature, pressure and wind at different heights above the ground, and surface parameters such as precipitation, soil moisture content and temperatures, and sea-surface temperature. Climate reanalysis data can be used in a wide range of interesting applications from insurance risk assessment to potato blight to renewable energy planning to air quality applications and much more.